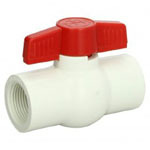 Compact Ball Valves | Lowest Prices Online! Compact Ball valves are single one-piece molded valve. 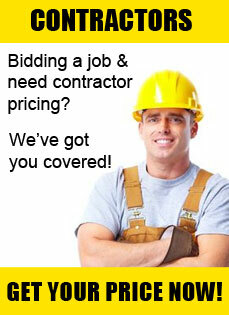 They operate as a simple but effective on/off for any system. 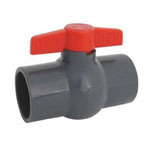 Compact ball valves range in size from ½” through 4” and can be socket or threaded. 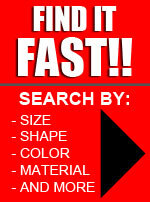 They also come in the colors of gray or white. 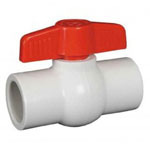 These valves are used mainly in irrigation systems and for applications that are not considered industrial. These valves are pressure tested at 150 PSI and will handle up to 140 degrees temperature. The valves come with a seal at the ball, the seals are EPDM or Viton. 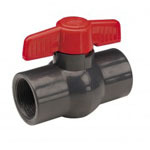 The compact ball valve is a very cost effective valve to operate an on/off media flow system.